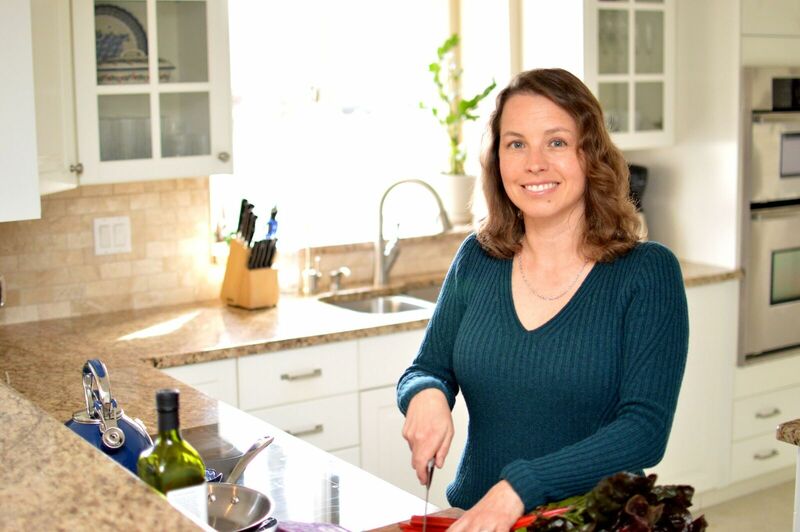 In honor of March being National Nutrition Month, we spoke with registered dietitian Lisa Perry about healthful eating. We’re pretty familiar with eating at this point, but maybe not so much the healthful part. Thankfully, Lisa can guide us. Let’s say someone has a solid grasp on basic nutrition—drinking water, eating vegetables, that sort of thing. What the next thing for them to do? I think that we often don’t do those things, or in the quantities we should! Unfortunately, the standard American diet is typically too high in fats and sodium that come from highly processed foods. A big thing is learning to recognize the amount of processed foods in one’s diet, and trying to eat more whole foods or nutrient-dense foods. A good way to start is to shop the perimeter of the grocery store. Typically in the perimeter you find fruits and vegetables, meats and seafood, and your dairy products. Often in the center where we spend the most of our time, the foods are highly processed. The key is learning to recognize highly processed foods and eliminating them. Something that seems very simple is a salad dressing. If you pick up a salad dressing in the grocery store—and certainly some are going to be better than others—there’s usually a huge list of ingredients to keep it preserved. A simple salad dressing is three parts oil to one part vinegar or acid. You can make that in a pinch and you aren’t consuming all these other ingredients. How do we navigate the middle of the store, where we spend a lot of time? There are a lot of foods that advertise health benefits. Protein bars are a good example. Cereals are a good example. Cereals often sound very healthy, and people have believed for decades that cereals are really good for you. But it’s a highly processed grain that’s pulverized into nothing and reformulated using added vitamins and minerals. Why shouldn’t I have the whole grain to start with? Wait, 61 different names for sugar? Yes. There are sugars that are more natural, like honey and maple syrup. But some others are barley malt, caramel, corn syrup or high fructose corn syrup—always avoid that, glucose or fructose, rice syrup, dextrin or dextrose, grape sugar, maltodextrin. It seems right now there’s always a current popular ingredient—I’m thinking things like turmeric, activated charcoal—that’s supposed to be so good for us. Ah, superfoods? Any nutrient-rich or nutrient-dense food is going to be a superfood. There’s no appeal for me about eating charcoal! Herbs and spices like turmeric have been used for centuries in foods. The best way to get those is to include them in your cooking. If you’re eating a varied, nutrient-dense diet and using those herbs, you’ll be exposed to a lot of those superfoods. But because something’s a superfood, doesn’t mean you want to eat it all the time. That said, everyone needs a cheat every now and then. Mine is super dark chocolate! Do you know where to go in an emergency?